Down Under’s GPR technology provides critical information on utilities, materials, and obstructions. It is effective for locating embedded items before you dig, drill, saw or break concrete. 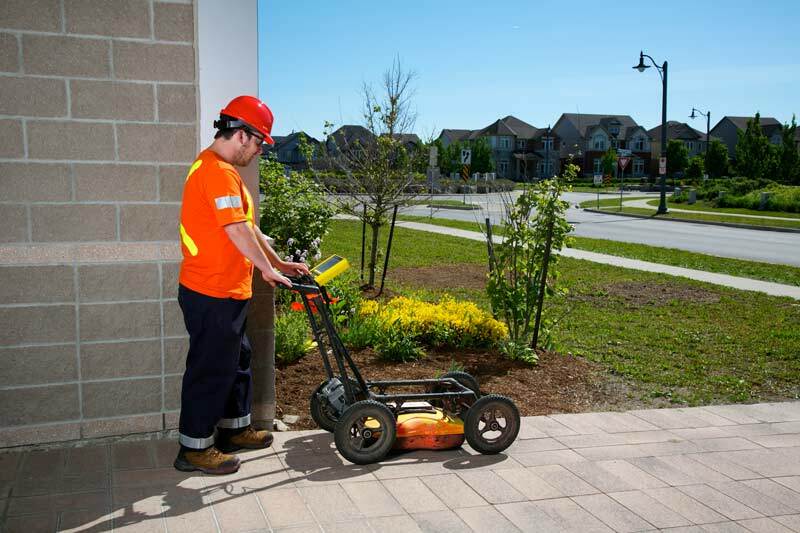 Using GPR reduces the risk and cost, while promoting a safe work environment. Both indoor and outdoor. Ground Penetrating Radar is a non-destructive technology that is used to effectively analyze your subsurface area to create a profile. It works by transmitting radio waves into the ground or structure and the reflected energy to create a layout.